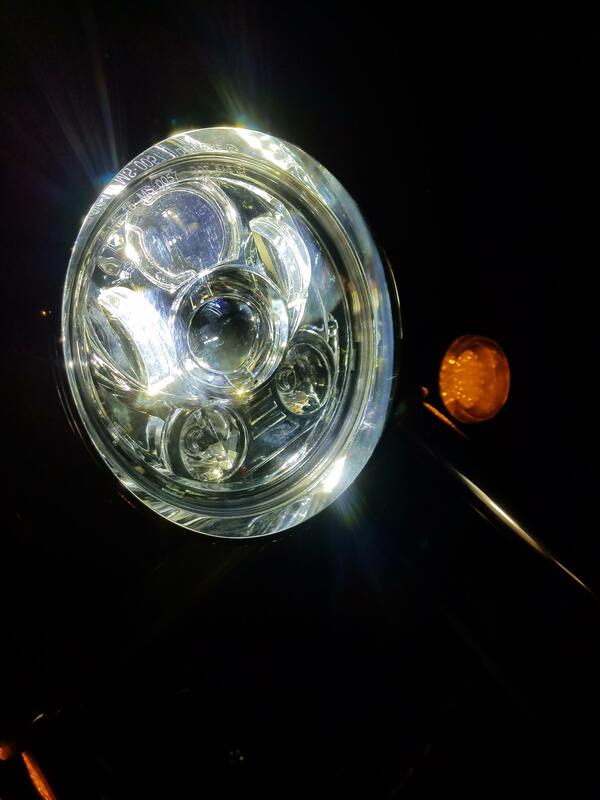 Headlight: Halogen vs. 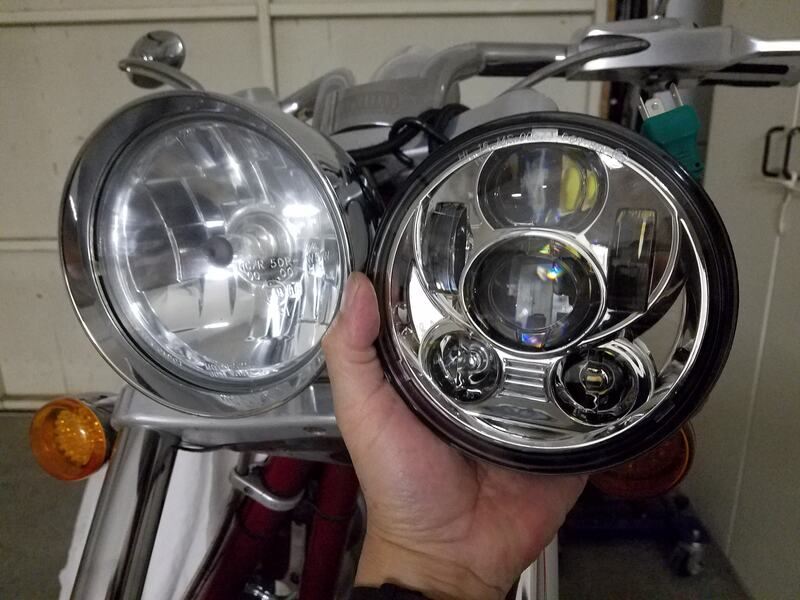 LED vs. "Widow Maker"
Discussion in 'Customizing & Add-ons' started by Fat_Bastard, Nov 8, 2018. 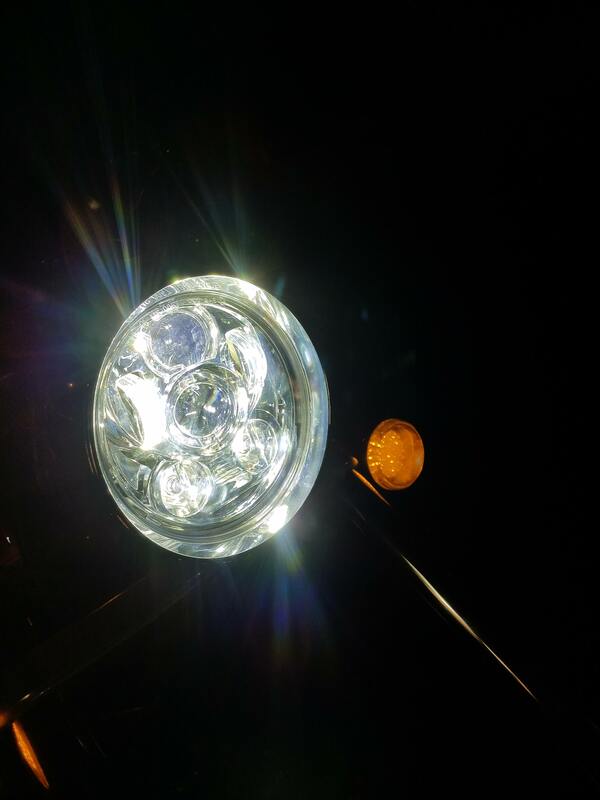 Stock headlight bulb barely cuts it any more... $5. Halogen bulb not bad in its hey-day... $13. 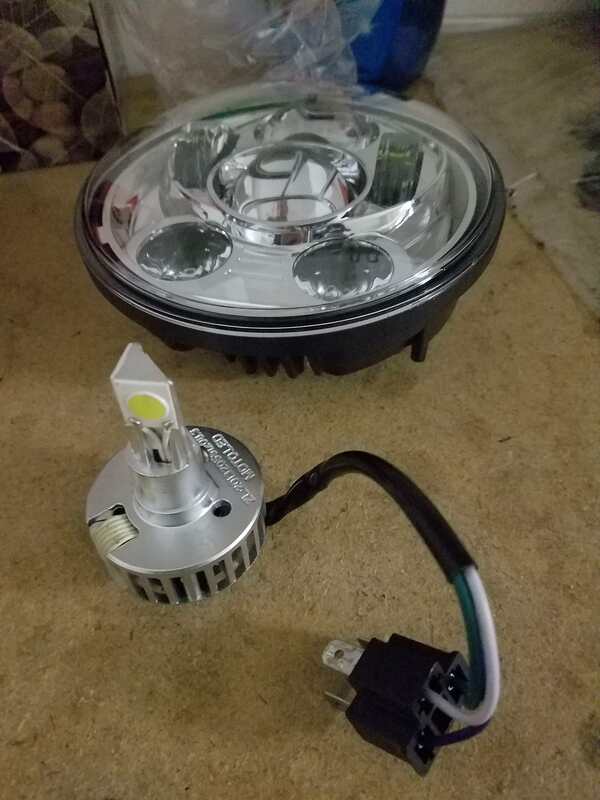 LED bulb with fan motor -- very nice light; but expected more than 2 years?.... $28~$290 ! 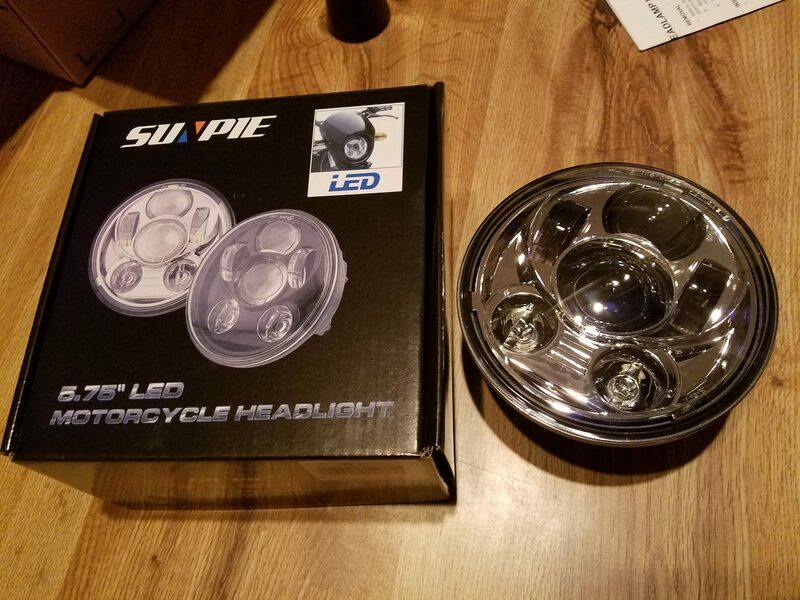 "Widow Maker" LED assembly - Just installed (will try tonight 11-8-2018) _______ $32. Then there is the coolness factor! Gotta say this new deal looks a little like a "UFO"
What I ordered from Amazon delivered in 24 hrs. no shipping cost! My 2 year old burned out LED/fan light bottom of photo and new LED assembly in upper part of photo (mutualy exclusive setups). Stock Halogen next to new "Widow maker" assembly photo. Would like to hear which headlights you like and why ___________ . pauldeepsea, Reddickracing, Nukeranger and 2 others like this. Trying to fly right... don't mess me up "big"
bdm7250 and pknowles like this. The LED light is great the benefit of this over the bulb replacement options is the way the light is reflected. The LED housings are designed for LED lights and therefore the beam is flattened out and shows the road better. Far Left and Right and multiple lanes over. 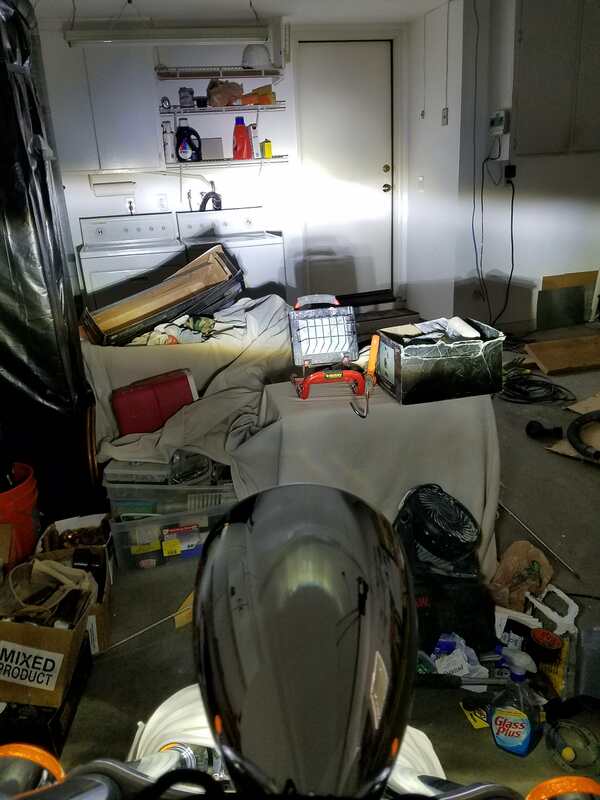 Stuffing a LED in the halogen housing just reflects the light in 360 degrees and therefore you end up putting light where it's not needed like the ceiling. 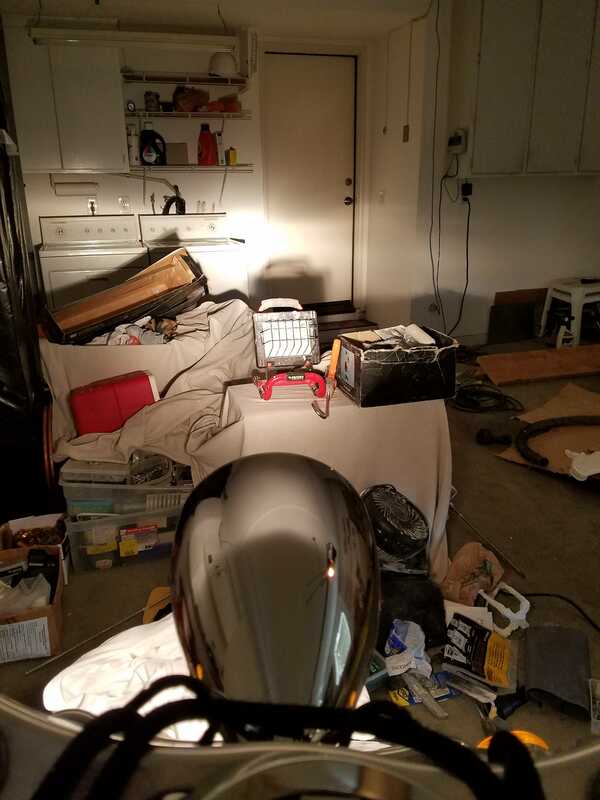 Just look at the pics in your garage. fiftyonefifty5150, PacoPetty and Fat_Bastard like this. Sorry I missed the Daymaker Party! 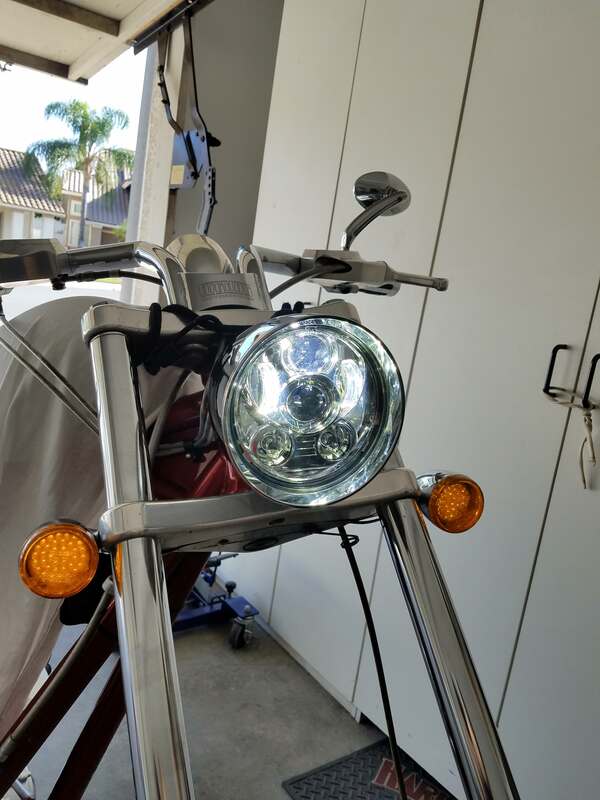 My LED Headlight took a dump and did not want to miss the Ride with "cdog" John; so I put a Halogen back in just to be legal. 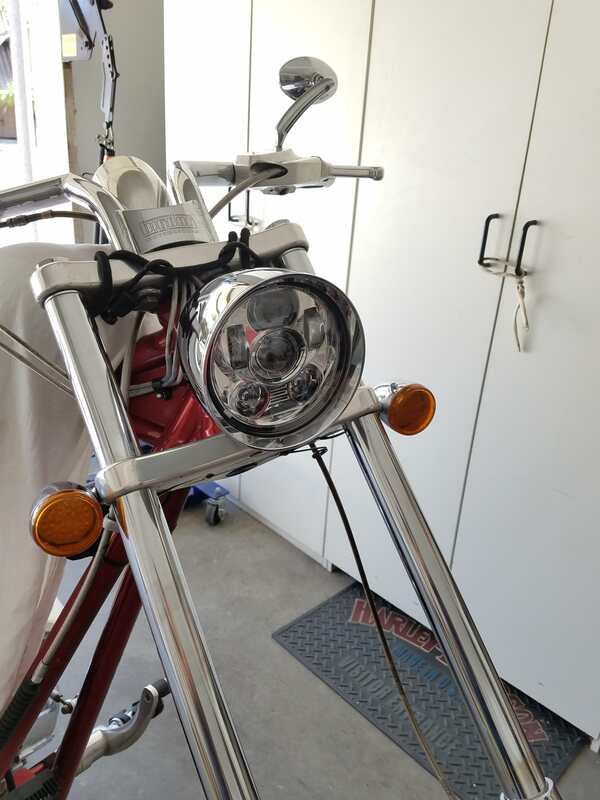 Then I saw John's headlight and was impressed... Ordered it a day or 2 later! Hope your doing OK now Eric! Nukeranger, bdm7250, cdogg556 and 2 others like this. bdm7250 and Fat_Bastard like this. Makes a big difference, and can't beat the price..
PacoPetty and Fat_Bastard like this. 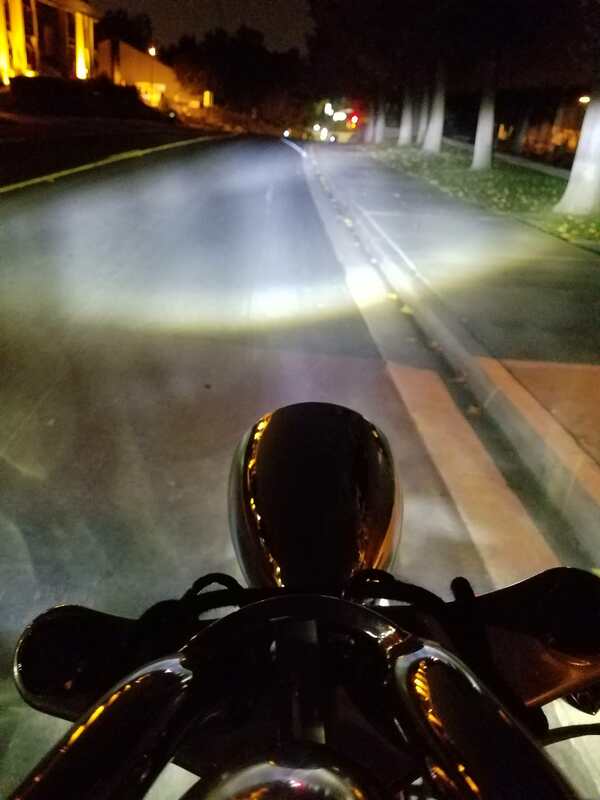 Night Test Ride -- headlight pretty good, wider angle, "blue-ish" light. Most of all admittance to the "Day Maker Party" with all-ya-all ! PacoPetty, Big D Florida, cdogg556 and 2 others like this. Your opinion is it's not as bright? I think it's similar but the wider angle and getting the light in the right spot for me is more important than brightness. Interesting blueish? Must be your eyes..ahah. It's probably about the same K rating as the LED you had. 6000K. If it is blueish, it would indicate he got a different color temp and while its as bright, the tint can deceive the eyes and make you think there is not as much light. I know for mre the color temperate (measure in degrees K) is as important for my old eyes as is the beam pattern. francoblay1, Nukeranger, chubs and 1 other person like this. Mine has a blue tint to it as well, all three of them have and they are rated at 4K, I love mine and wouldn’t change em at all!! Fat_Bastard, pknowles and chubs like this. Rob I thought the same thing when I installed mine then I realized that I had it angled to low, so I moved it up and it makes s huge difference, I did notice that your bucket looked like it points pretty low, might be worth a try to move it up a bit and see if it's any better. Fat_Bastard and chubs like this. 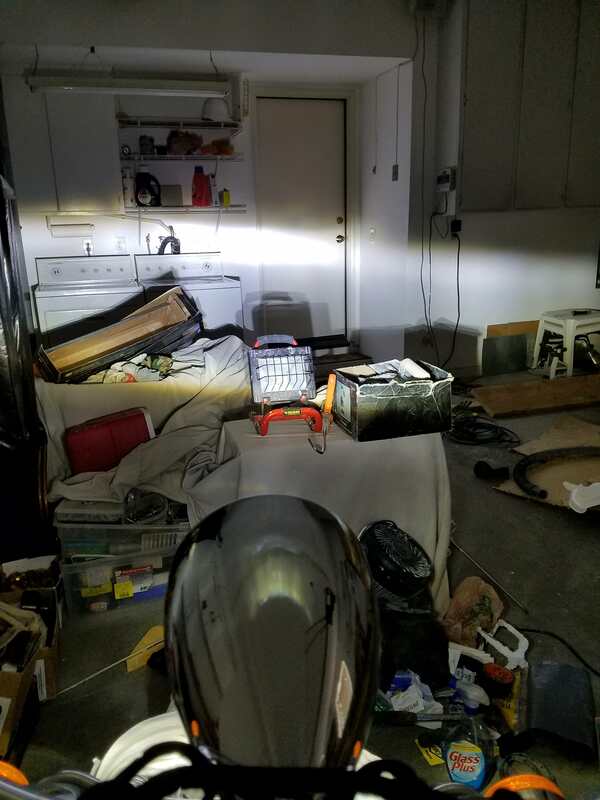 Regarding the new light beam as compared to the LED/fan light that burned out. High Beam brighter, just more of same. 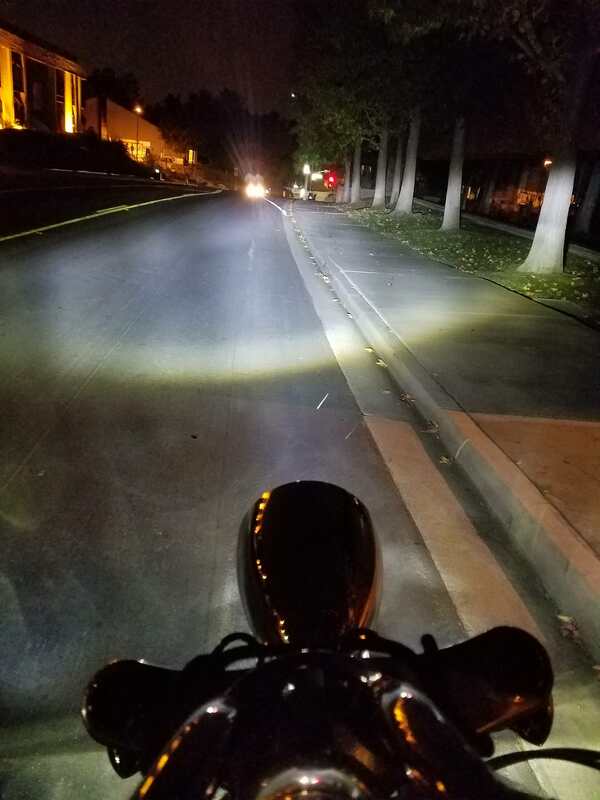 Low Beam: appears to work as it should. Slightly "blue-ish"
bottom round High Beam two bulb/lens appear slightly green. think this is just the way this set up is supposed to work... I will wait to ride with "cdogg" John again to do a side by side comparison before I say anything is wrong. Nukeranger and cdogg556 like this. I'll tell ya right now that it's not brighter than the LED bulbs we were getting, but I went through 3 of them damn things cause they are basically junk, not built well at all, so the thing about the daymaker is it's one piece, comes with the lens and all in one, nothing to viberate loose and it looks great, I also was leaving my high beam on like Shannon until I raised the angle of the bucket and then it covered more area, all in all for the price it can't be beat, but if brighter is more important, probably better to go back to the led light. Fat_Bastard and Nukeranger like this. I don't even know what that is, got any info on it Jonathan? It's just the brand of the one you got...go take a look at Fats picture it's on the box! cdogg556 and Fat_Bastard like this. I am starting to like the rainbow colors and "UFO" look!